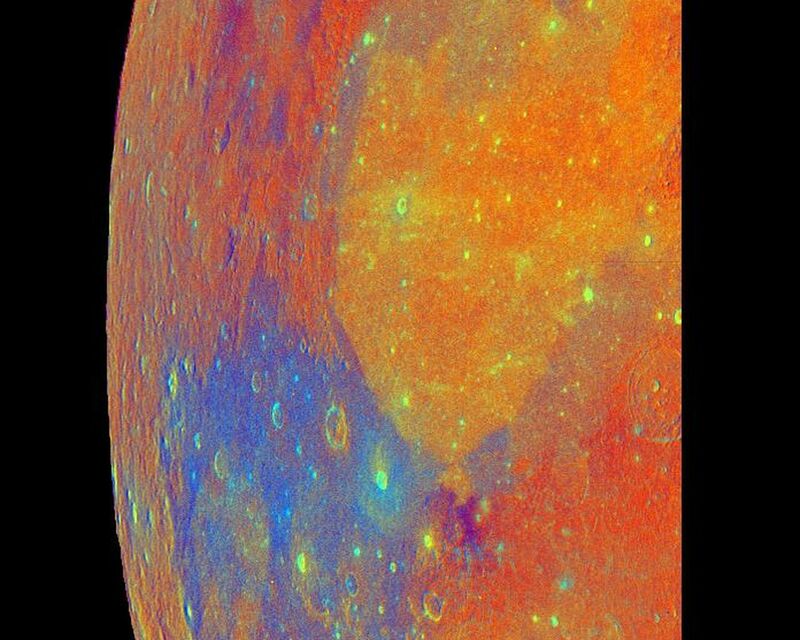 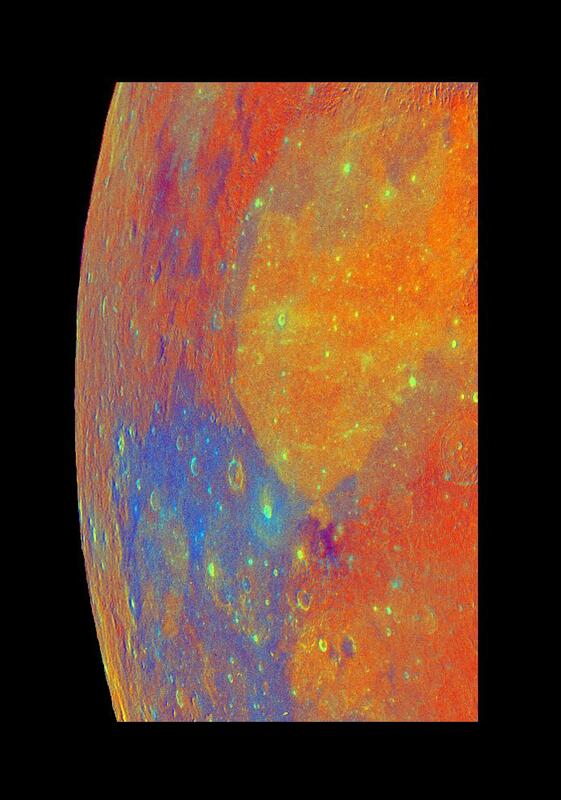 This false-color mosaic of part of the Moon was constructed from 54 images taken by Galileo's imaging system as the spacecraft flew past the Moon on December 7, 1992. The mosaic images were processed to exaggerate the colors of the lunar surface for analytical purposes. 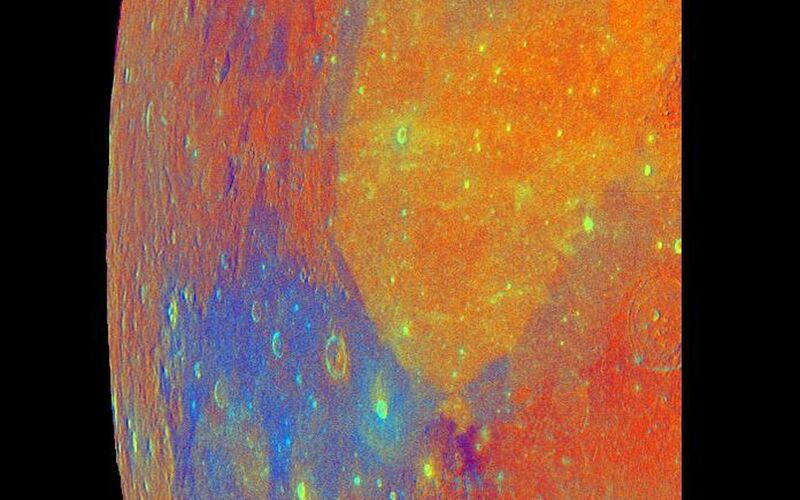 Titanium-rich soils, typical of the Apollo 11 landing site, appear blue, as seen in Mare Tranquillitatis, left side; soils lower in titanium appear orange, as seen in Mare Serenitatis, center right. 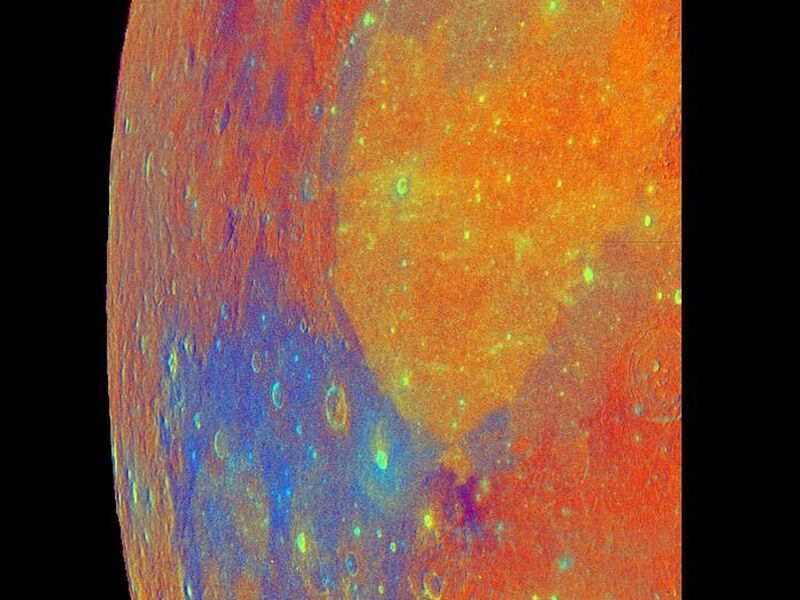 Most of the lunar highlands appear red, indicating their low titanium and iron composition. The Galileo project, whose primary mission is the exploration of the Jupiter system in 1995-97, is managed for NASA's Office of Space Science and Applications by the Jet Propulsion Laboratory.